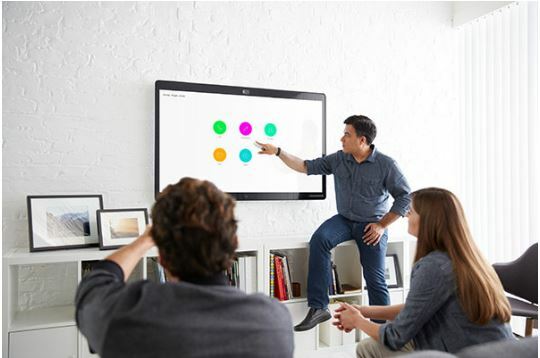 Connected directly into your Webex Teams space, the Cisco Webex Board provides interactive whiteboarding, Video and Audio Conferencing and wireless presentations, in one sleek and professional touch panel display. Heard enough already?! Want to see a demo of the Webex Board? The brand new London Design Studio in Clerkenwell has opened… find out more then arrange for a Webex Board demonstration today. What is the Cisco Webex Board? The Cisco Webex Board provides touch screen capabilities in the meeting room, combined with Cisco’s sleek Video Collaboration room systems, connected up into the feature-packed Cisco Webex Teams in the Collaboration Cloud. 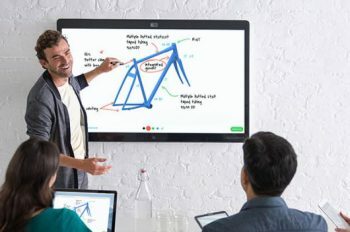 With an inbuilt camera and 55″ LCD display, the Webex Board is what the Collaborative working world has been waiting for – like a SMARTBoard, but with directly integrated collaboration tools, connected straight into the Cisco Cloud. Walk into a meeting room and the Spark Board recognises you, from your mobile, and connects you straight into your Webex Teams collaboration spaces in the cloud. See what you’ve been working on, bring your teams up onto the screen, and kick off a face-to-face meeting immediately. I walk into any room and my project and team are right there in front of me. It’s simple, The system just knows i’m there and the projects and content i’ve been working on are right there in the meeting space. The Cisco Webex Board is a Webex room system that enables simple and intuitive access to your business Webex Teams solution, that gives you calling, messaging and meetings from any device, features for teams and projects, and direct access to what your business needs today to get work done. 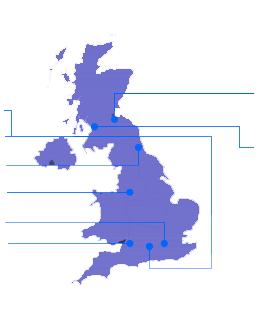 For more information or preferential pricing, you can contact us, a UK Cisco Premier partner, and our specialists will get in touch, listen to your challenges, and help you get onboard with Cisco Webex Teams and the Webex Board. Cisco Webex Teams is a business collaboration platform that provides you and your teams with all the tools, features and functionality for communicating across your workforce. Meeting, messaging, calling, content, face-to-face and voice, Virtual Meeting Rooms and the ability to customise via API’s, on any device, anywhere, anytime. Find out more about Cisco Webex Teams on our Cisco Webex Teams (formerly Spark) dedicated website here. VideoCentric are a Cisco Premier Partner and one of the first trained organisations in selling Cisco Spark and the Spark Board. As an independent and unbiased organisation, with Cisco solutions, alongside other leading collaboration technologies, our specialists can advise you on Cisco Collaboration solutions alongside other competing solutions in an unbiased environment.